Reeder has been around for quite some time. It was for a long time one of the best Google Reader clients around. Google Reader is no more though. 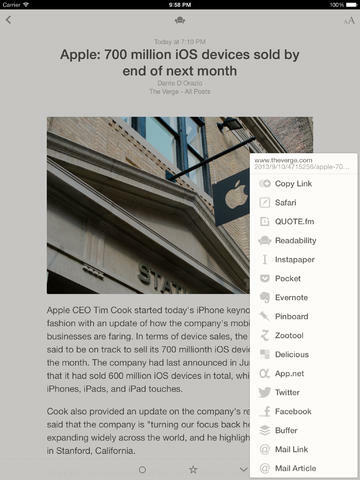 Reeder’s developer started supporting other RSS reader services months ago. Reeder 2 is now here and better than ever. It is a client for Feedbin, Feedly, Feed Wrangler, Fever, and Readability. Reeder 2 is now ready for iOS 7. 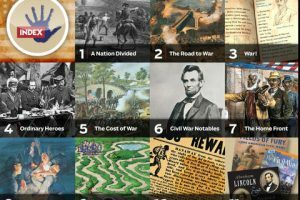 It has an elegant design, so you can catch up to your favorite stories fast. 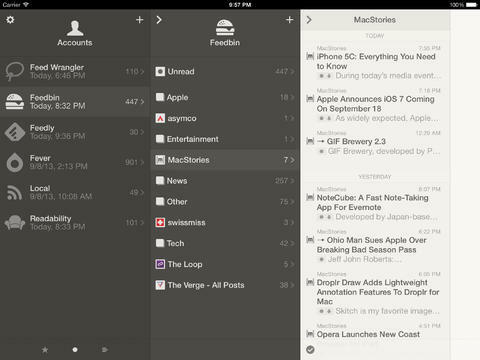 Reeder 2 supports Feedbin, Feedly, Feed Wrangler, and Fever at this time. We would love for the service to add NewsBlur and BazQux to the list of supported services. Plenty of sharing services such as Buffer, Pocket, Pinboard, and Evernote are covered too. Reeder 2 is fast and reliable. It is one of the better RSS reader apps around for folks who are using one of the mentioned RSS tracking services. The app can serve as a local/standalone RSS reader. Sets you back $4.99 at this time.